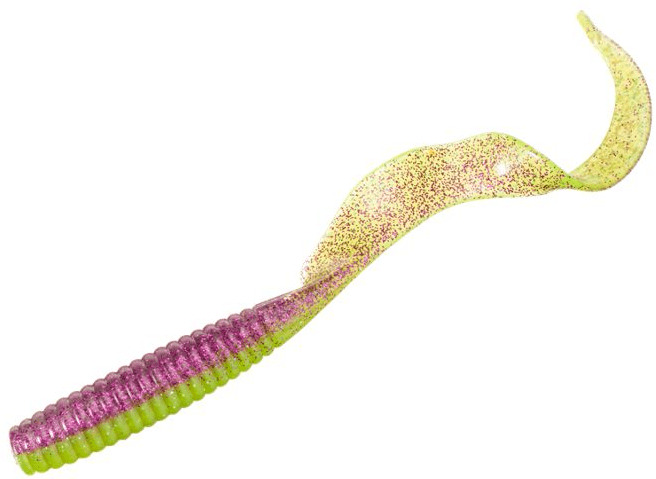 Our 8 inch curly tail grubs are great for freshwater or saltwater fishing. Anglers love to pair these with our bucktail jigs for great results. A plastic grub (or curly tail grub) is a plastic fishing lure. Soft plastic curly tail grubs can carry a variety of shapes, colors and sizes, and are made from a variety of synthetic polymers. Some are even scented to simulate live bait. Plastic grubs can be rigged on the line many different ways. Commonly they are used with a small fish hook and a split shot weight to keep the lure deeper in the water. The fishing equipment recommended is a 7 foot fishing rod with 8 to 10 lb fishing line. Grubs can also be called �Twisters� because the action of the tail is defined as a twisting motion. The curly tail grubs have been around since the 1950�s and 1960�s. Our grub was first created in 1968 by my grandfather, and founder of Lockett Industries, Larry Lockett. Over the course of 45 years, Lockett soft plastic grubs have become a premier name in the fishing tackle industry. While Lockett products are not offered in big chain stores under the name �Lockett�, they can be found as other big brand names that Lockett molds for. Lockett curly tail grubs can be purchased in seven different sizes, and over 50 different colors. 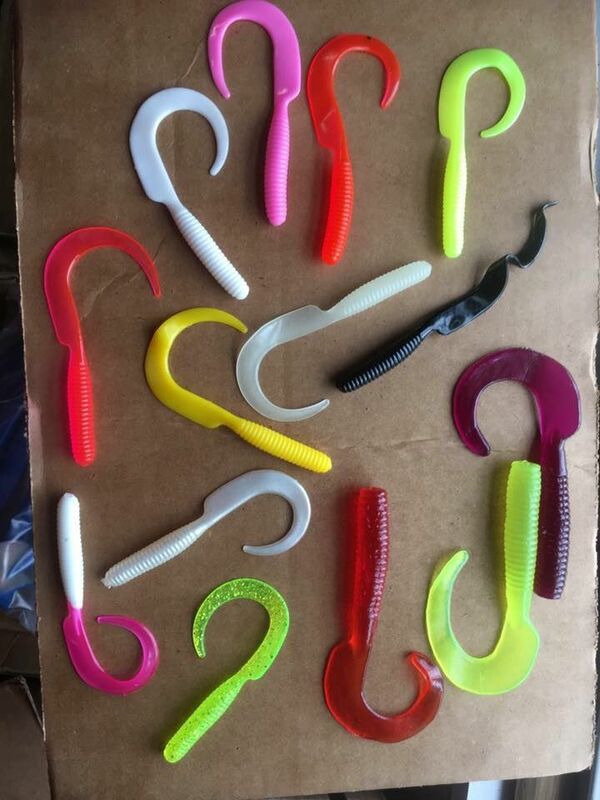 Our large variety of sizes and colors give fisherman the grubs they need for ice fishing, panfish, crappie, perch, trout, smallmouth bass, largemouth bass, sea bass, striper, musky, pike, halibut, and all other species. We use a special formula for our 6 inch and 8 inch grubs that consists of saltwater grade soft plastic that will hold up against the bigger fish bite. When you don�t have to replace your grub after every bite, you save money. All of our grubs are offered in bulk packages, and even bulk cases. When you buy curly tail grubs from Lockett Lures Outlet, you get a quality product, at a low price.